HAROLD 2 IS NOW FULL! Back for more Harold fun? 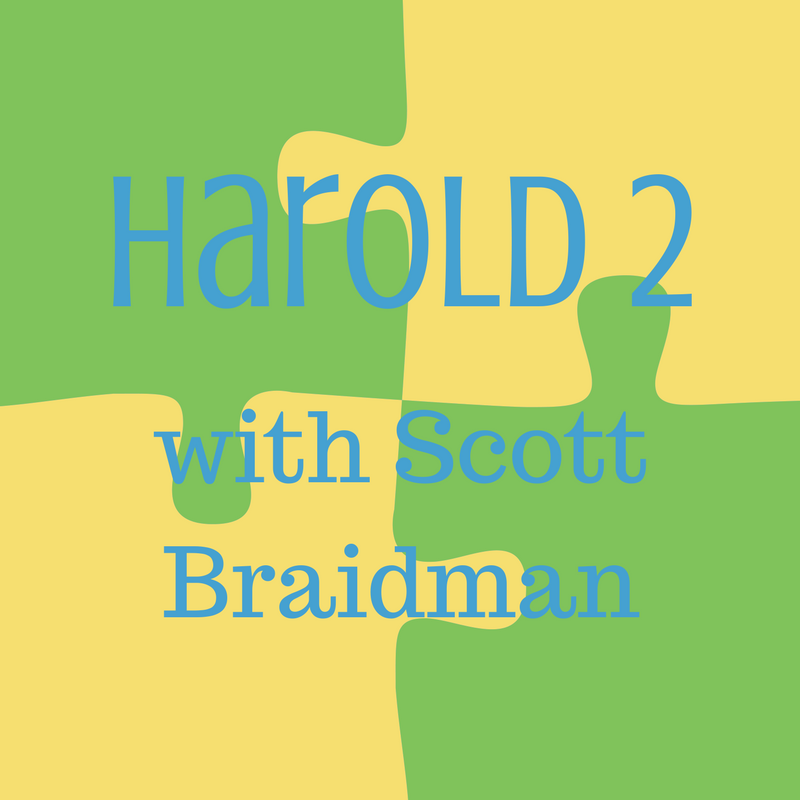 Scott continues his very accessible approach to Harold in this Advanced Zen of Improv class. The focus of this level will be turning the group into a performing Harold ensemble with its own language, style, and form. This class also includes a showcase performance outside of class on the evening of Saturday, June 10th after the Happier Valley Comedy Show, around 10:00pm.